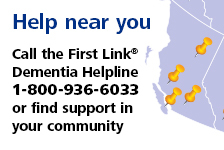 Victoria - 2019 | Alzheimer Society of B.C. Breakfast to Remember presented by Trillium Boutique Senior Living, returns to Victoria on Tuesday, February 26, 2019. Held at the Victoria Conference Centre, Breakfast to Remember allows community leaders in Victoria to continue building a dementia-friendly province. This event brings people from all sectors, their colleagues, family members and friends to mobilize a community of care around the estimated 70,000 British Columbians living with dementia and their families. In 2019, guests will hear from guest speakers affected by dementia in very different ways within the community. Tomiko Yoneda, PhD candidate in the Department of Psychology at the University of Victoria and Social Sciences and Humanities Research Council and Alzheimer Society Research Program fellow, will speak to her quality of life dementia research. Const. Andrea Toombs, Crime Prevention Officer, Saanich Police Department, will give insight into building dementia-friendly communities.